Netflix has commissioned six original kids series, one from the LEGO Group and another from ITV Studios that will debut in the UK on CiTV. The series are LEGO Elves, Robozuna, The Hollow, Kibaoh Klashers, Super Monsters and Treehouse Detectives. LEGO Elves is notable for extending production partnership between SVOD giant Netflix and Denmark’s LEGO Group. 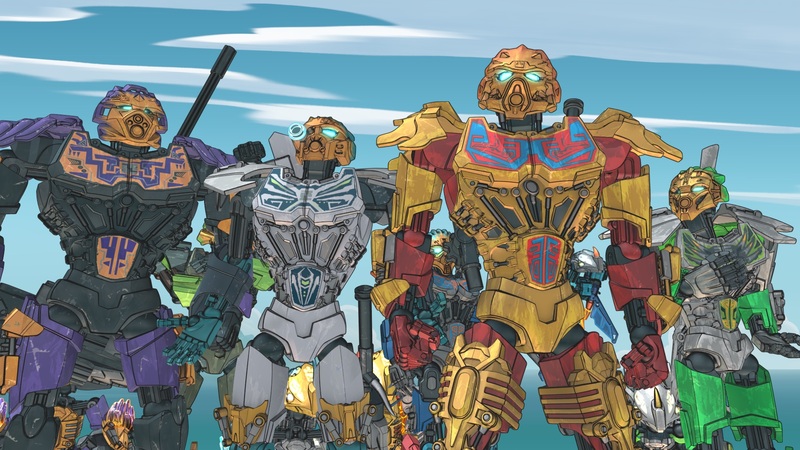 It comes after LEGO Bionicle: The Journey to One (pictured) and LEGO Friends: The Power of Friendship, both Netflix originals, and debuts an eight-episode run in 2017. It follows the Elves hero Emily Jones and her elf friends, who attempt to save her kidnapped sister from the Goblin King and free Goblin Village from his tyrannical rule. Robozuna comes from ITV Studios, which is produced for Netflix globally, excluding the UK, where it first plays on CiTV before joining the local Netflix surface. Debuting globally on Netflix in 2018, it follows a pair of characters who attempt to find their way home while engaging in an “unending clash of good over evil”. The Hollow is from Slap Happy Cartoons, and follows three teens who wake up who wake up in an underground bunker, and have to find a way out of a maze of bizarre towns, dangerous beasts and quirky characters. It debuts in 2018. Kibaoh Klashers is a Saban Brands production, and will debut next year. It follow a young beetle who wants to follow in his parents’ footsteps as a champion car racer, but clashes with an evil prime minister who tries to use a racing event to take over the realm. Super Monsters is a third collaboration of Netflix, producer Avi Arad and 41 Entertainment, coming after Kong: King of the Apes and the upcoming Edgar Rice Burroughs’ Tarzan and Jane. It follows a group of friends at a supernatural preschool, where they attempt to master their seemingly untameable powers, and has a 2017 airdate pencilled in. Treehouse Detectives, from Saban Brands and Korean studio Sunwoo Animation, is about two curious bears who solve neighbourhood mysteries. Season one debuts on Netflix globally in 2018 and at a later date in South Korea.